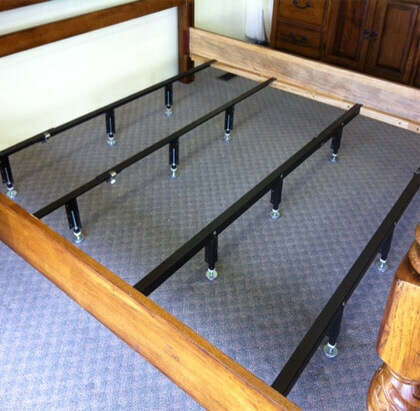 Wooden Side Rails: Your bed must have 2 wooden side rails. Each rail, ( the left side rail and the right side rail will then hook into the vertical slots of your headboard and then into your footboard. NOTE: They can also attach using traditional bolts and nuts if your bed does not have hook in connections. Wooden lip: Be sure that on the inside of each of your wooden side rails there is a wooden lip or ledge. This lip should run nearly the entire length of the wood side rails. NOTE: In the old days wooden slats were placed on the lip and multiple wooden slats spanned the bed’s width to support your boxspring and mattress. Today we recommend the support system you are currently shopping because of their superior strength head to toe and side to side for maximum weight distribution. These comply with all manufactures warranties (Sealy, Serta, Tempur-Pedic, Simmons, etc. Did we mention to measure lip height? Yes, please! A. BB-5 Q/K This is a 1 size fits 3 package. It comes with everything you need. 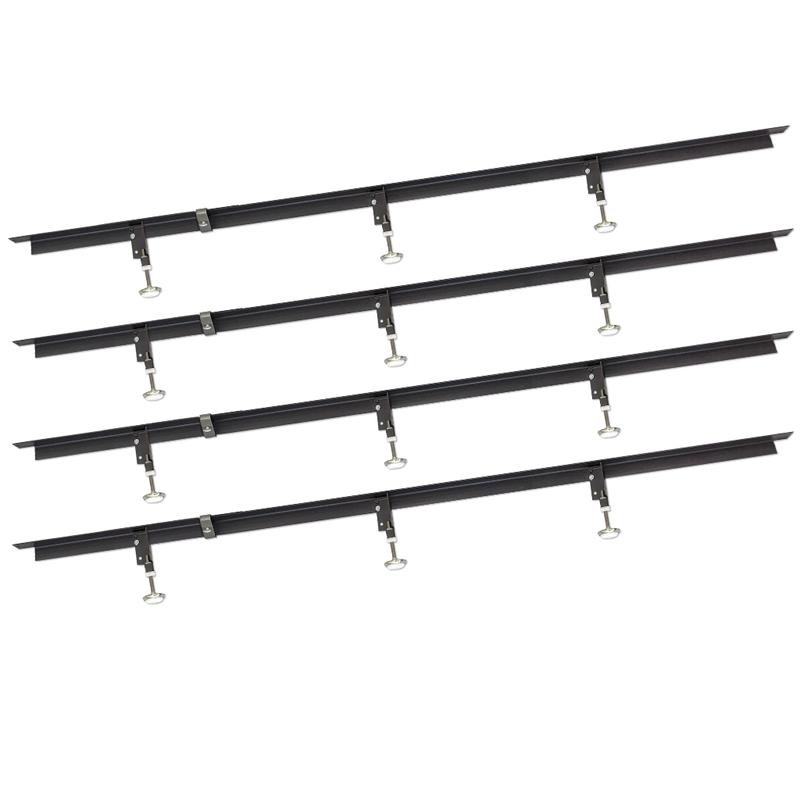 For Queen application use with the 4 heavy duty angle iron cross bar slats with wood screws. Then used the 8 threaded adjustable feet and 8 low profile steel legs. B. BB-5 Q/K This is a 1 size fits 3 package. It comes with everything you need. 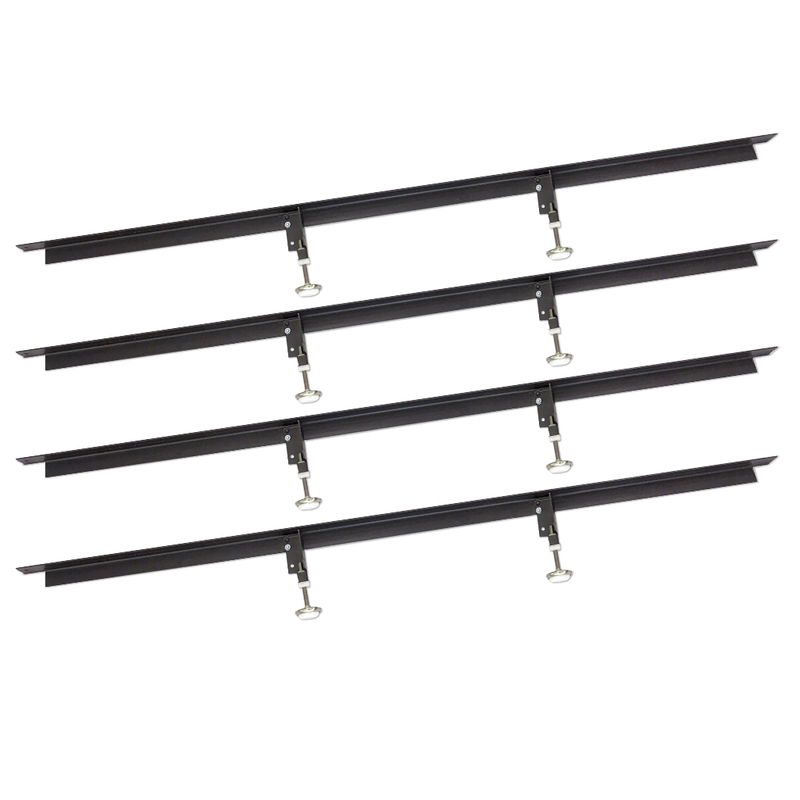 For King application use with the 4 heavy duty angle iron cross bar slats with wood screws. Then used the 12threaded adjustable feet and 12 low profile steel legs. A. BB-8-18 Q/K This is a 1 size fits 3 package. It comes with everything you need. For Queen application use with the 4 heavy duty angle iron cross bar slats with wood screws. Then used the 8 threaded adjustable feet and 8 Standard or Extended profile steel legs. Designed to replace weak wooden slats or cheap steel slats. 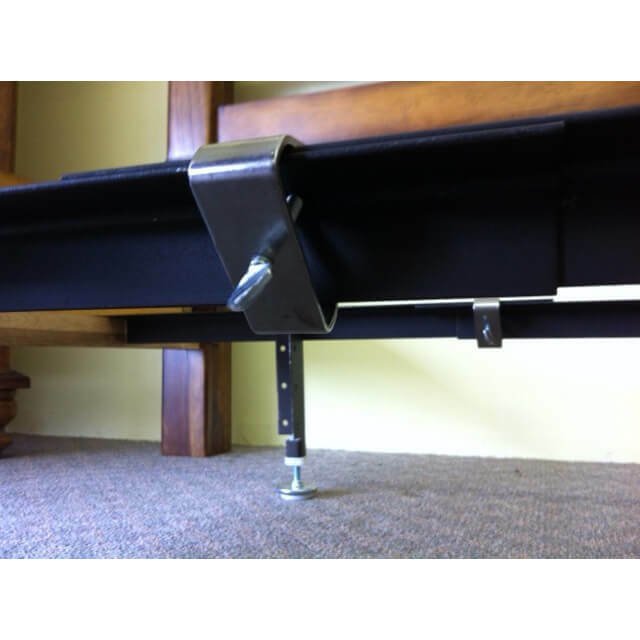 Most importantly your new system will take the pressure off wood side rails by screwing into the lip which will tranfer weight from your headboard, footboard, and side rails and get the weight to the ground safely via 8-12 legs depending on your bed size. 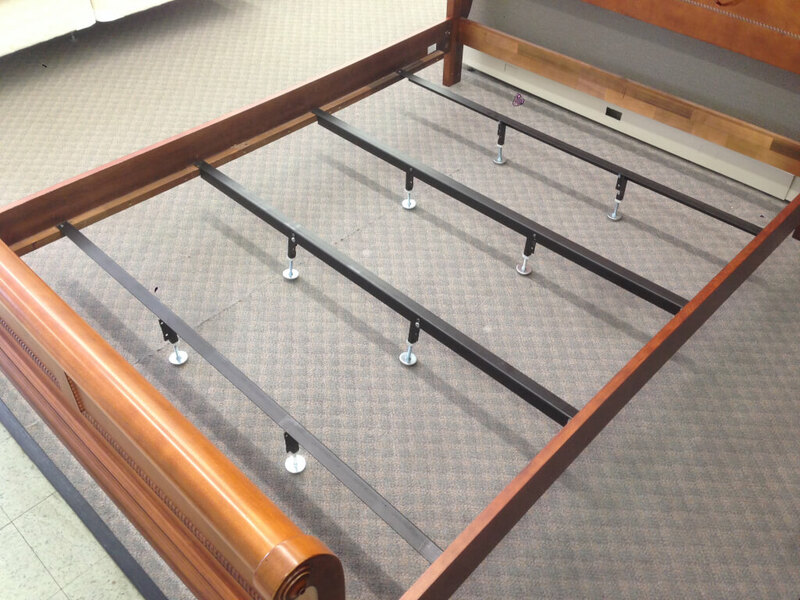 When moving bed do not slide it after legs have been assembled. It can cause legs to slide out of position or even worse fail. When using on laminate, hardwood or any other slick floor it is best to use a non skid material under the frame legs to keep them from sliding out of position. Do Mattress Sets Come With a Bed Frame?